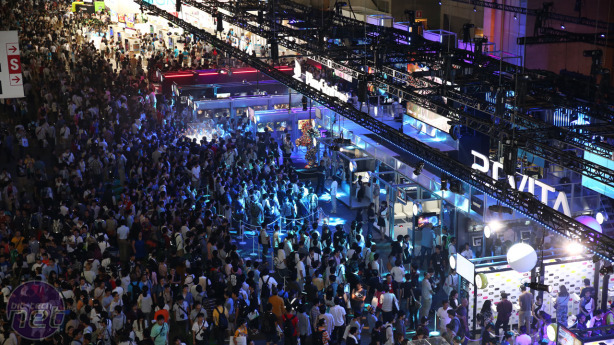 The Tokyo Games Show 2013 is the quintessential gaming trade show, complete with cacophonous music, cosplayers galore, the inevitable scantily clad 'booth babes', ogling teens and an avalanche of advertisements posing as collectible freebies. In other words, it's madness. Although, this being Japan, it's an extremely polite and efficient sort of madness. For some games the public are queuing for three hours or more to play a fifteen minute demo, but the mood is never anything less than cheerful. Of course, having a press pass and pre-arranged appointments helps a lot with time-saving, allowing us to get our hands on more than one or two games per day. So, what's good this year? Unsurprisingly, the talk of the show surrounds the games being displayed for the upcoming PlayStation 4 and Xbox One; with the former garnering the bulk of attendees' attention. Sony's booth has consistently been the busiest place on the show floor, with PS4 and PS Vita titles in high demand. Perhaps most interesting of the titles in the Sony area is the dungeon crawler Deep Down, the free-to-play PS4 outing designed by Street Fighter creator Yoshinori Ono. 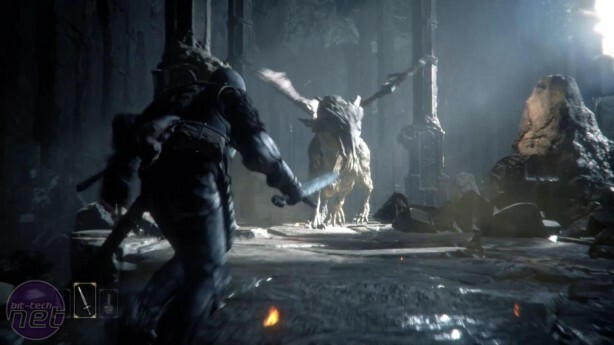 The Deep Down demo is only around ten minutes long and, given the hinted depth of the game, doesn't provide an enormous amount of insight into what to expect from the final product, but what's on offer is still impressive. What's immediately striking is the strength of the visuals, with textures, animation and lighting all contenders for the best examples yet to be seen running on the next-generation consoles. That visual impact is enhanced thanks to the camera being placed tightly over your character's shoulder, making you feel closer to the action than you perhaps do in other games of this ilk. Dungeons are randomly generated (a fact made obvious by watching other people play before you), presumably with the goal of enticing you to play more than you otherwise would in a bid to experience different layouts and obtain a wider variety of loot. It’s a model that has worked extremely well for Spelunky so there’s every possibility it will here too. The free-to-play model is generally all about getting players involved over the long-term, after all. It's also online-only, with two players able to fight through the same dungeon together. This co-op aspect is not something I've played myself, though. Deep Down doesn't feel a million-miles away from Dark Souls 2 (another game that had an impressive showing at TGS), although the overall speed of the gameplay is slower than From Software's best-in-class offering. Movement and attacks are extremely deliberate in Deep Down, creating a real sense of drama even when you're not faced with any enemies. Whether or not it remains dramatic, or simply becomes irritating, after more than the ten minutes I've played remains to be seen. We went to EGX 2015: Here are some of the games to keep your eyes on.